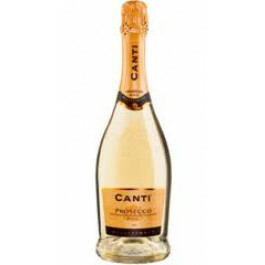 Canti Prosecco DOC 20cl is lively prosecco of pale straw colour with taste of green apples and flowers. With this product, you earn 430 loyalty point(s). Canti Prosecco DOC 75cl is dry and pleasantly fruity. It is Ideal as an aperitif and during the whole meal.